The only church open in Buxton during the week is this one. It is tucked behind the Swan pub in the high Street. As I arrived the last few people were coming out after a funeral there. I met a friendly man who told me quite a bit about the church, and put the lights on for me as it is quite dark inside. It is thought to be the oldest building in Buxton but nobody can be sure. 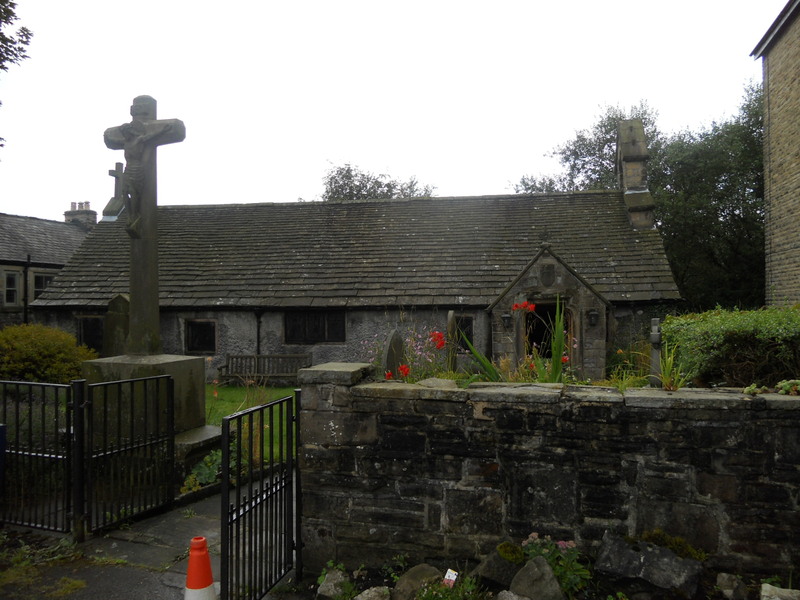 There had been a chapel to St . Anne in the town which was associated with the healing powers of the Holy Wells from which the famous Buxton water flows. This was suppressed at the Reformation and this church was built. Originally it was dedicated to St. John the Baptist. 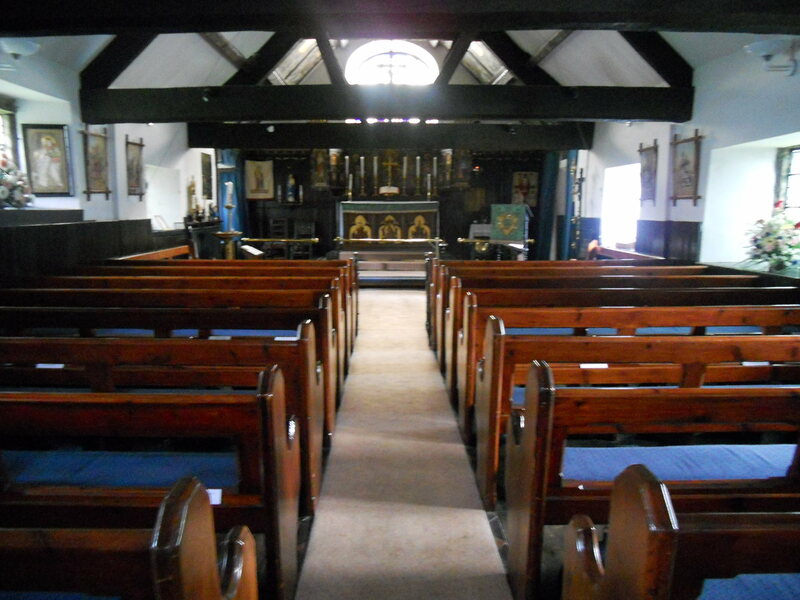 By the eighteenth century the church had fallen into disrepair and was used converted into a school, being this until 1841 when it was restored at the expense of the Duke of Devonshire and used as a church again. It is small and well loved. There is a simple sign outside which gives details of Sunday worship only. There is a guide, a photocopied one which is informative but a bit scruffy. This could be much better if it was re done. The text is fine. 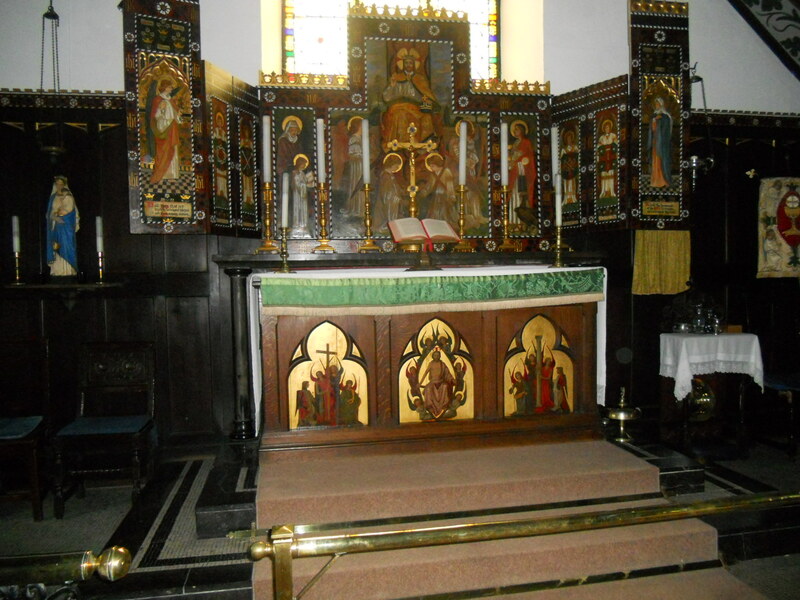 Their is a real atmosphere attached to this little church. 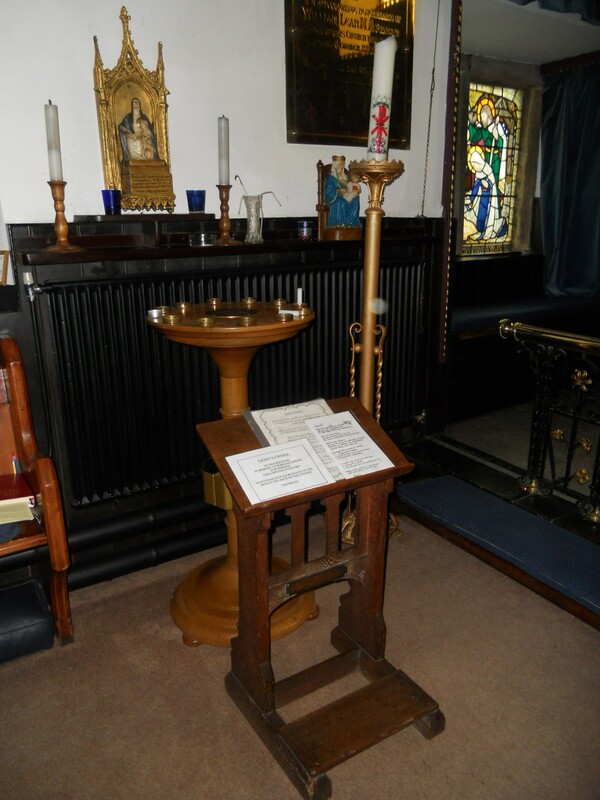 A votive stand is available to use, and there are some prayer ideas. It is a quirky place but a delightful place of peace and quiet in what is a bustling town. It is a pity that other churches can’t be opened up here. I rate St. Anne’s as OK for this study.